Innovation, and technological innovation in particular, can help city governments meet the challenges of urban governance, improve urban environments, become more competitive, and address sustainability concerns. To prevent and manage these challenges, cities need to operate in an innovative way. In this context, the smart city approach is emerging as a way of solving tangled and difficult problems. However, there is not a unique and right strategy to develop a smart city. By drawing on a comparison between the experiences of Barcelona (Spain) and Milan (Italy), this chapter aims to explore similarities and differences in the way these two Southern European cities, both being the second largest in their respective countries, are building their smart city agenda. 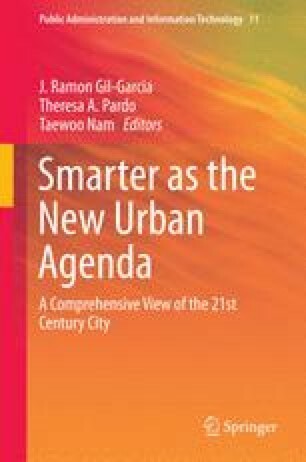 The ultimate aim is to identify the main features of two still developing approaches, which appear to be influenced by the increasing integration of smart dimensions and initiatives in the cities’ strategic agendas and the related opportunities and challenges.